This is probably one of the most popular herbs we carry. There are so many great varieties on the market, one of which is Greek Columnar. This variety of basil is very pungent and works well in Italian dishes. What really makes this a unique basil is the fact that it never goes to seed. Once cut, it also seems to keep longer than the average basil. Other varieties of basil that we carry are sweet basil, thai, lemon, and cinnamon. All these will add unique flavors to your cooking. Basil is native to tropical regions of the world, so it loves the heat. It is an annual inNorth Carolinaand can not take temperatures below 40 degrees Fahrenheit. Be sure to plant basil in well drained soil. If planting in a container, make sure you have plenty of drainage holes and a thin layer of pebbles or terra-cotta at the bottom of your container. 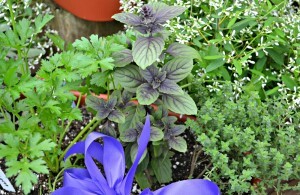 It is important to harvest your basil before flowering occurs, as the flowers take away from the flavor. The main reason to harvest your plant (other than to enjoy it!) is to keep it producing. Thus, the more you harvest, the more your plant will produce. Typically, you want to harvest every few weeks. 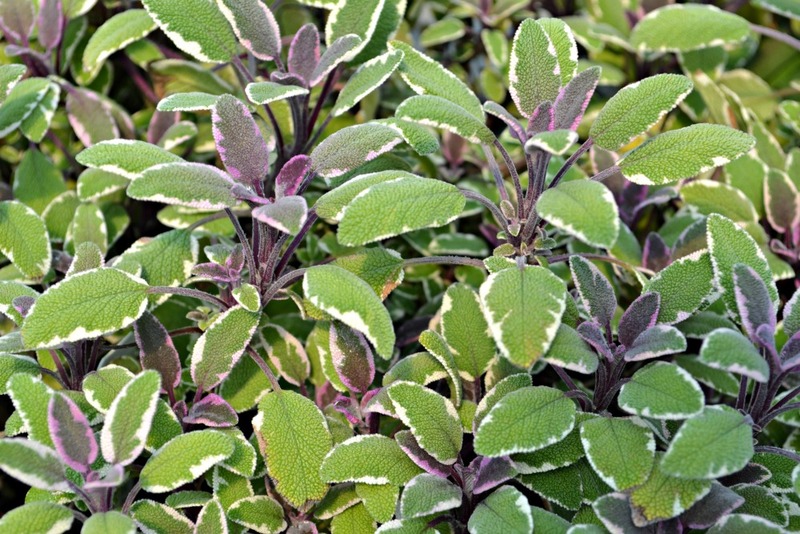 We suggest that you cut a section of the plant, rather than just removing a few leaves. Doing so encourages your plant to grow more evenly and will yield more basil over the life of the plant. Basil freezes easily: Just wash the leaves and let them air dry, then place in a freezer bag for safe keeping. As you probably already know, it will also keep in the crisper of the refrigerator for over a week, as long as it is sealed tight. Fun Fact: Basil is considered to be the most sacred plant after the lotus inIndia. In Greek mythology, basil was able to turn into scorpions. 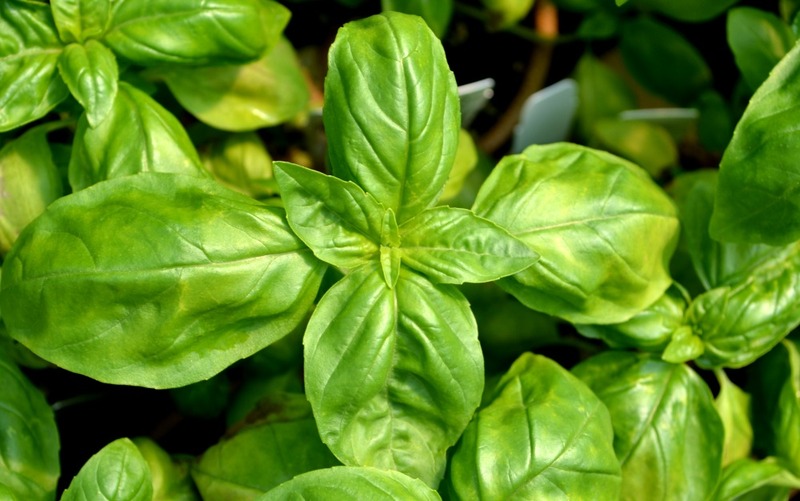 Health Tip: Basil is considered to help aide in the digestion process and helps with migraines and exhaustion. This herb will stimulate your cats and cause them to act a little on the crazy side. Strangely enough, it actually has the opposite effect on people. In one study, they give small doses of catnip to children with ADHD disorder, as well as people who have suffered traumatic experiences, and they discovered that it helped to calm our nervous system. Another great feature about this plant is that it is a natural insect repellent. It has high levels of citronella, which is what is found in the mosquito plant. The primary uses of catnip are for feline enjoyment, as well as to act as an insect repellent. It is in the mint family, so some may find it to be invasive. 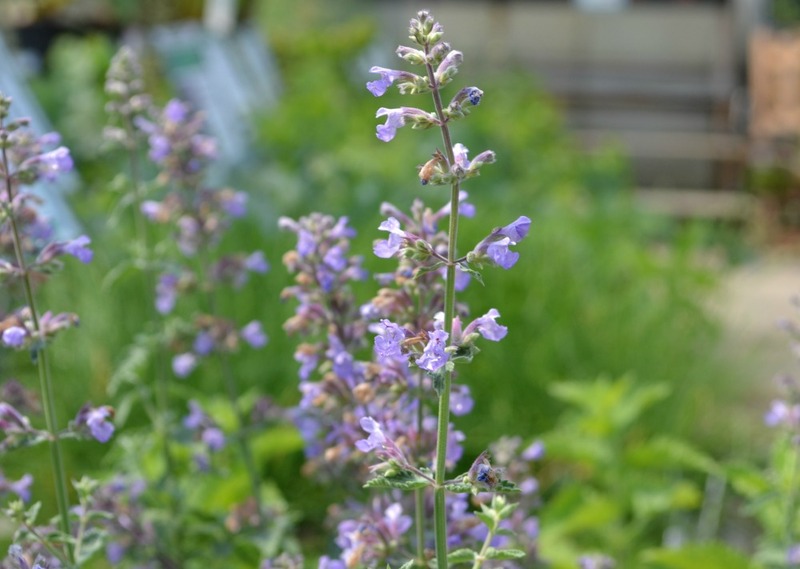 It is considered a perennial in our area, and likes a lot of sun and well drained soil. If planting in a container, make sure your container has plenty of drainage holes. It is also wise to use a thin layer of pebbles or broken terra-cotta at the bottom of your container. Fun Fact: Catnip was once believed to keep rats away because they hate the smell of it. At one time, it was said to give courage to any man that chewed it. Health Tip: Catnip is still used today in teas for insomnia. This herb is becoming widely recognized and used. Cilantro is a wonderful herb used in Mexican cuisine. It is also used in thai cooking as well. Did you know cilantro and coriander seed are from the same plant? It’s true. If your cilantro starts going to seed, just turn the flower heads upside down in a brown paper bag and the seeds will drop out. Surprise! The seeds that appear atop your cilantro plant are coriander, and you have two spices for the price of one! Cilantro is an annual in our area. 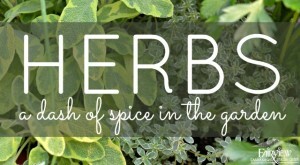 It is considered a cool weather herb, so you need to plant it in early spring or in the fall. Once in the ground, if it starts going to seed around late June, rest assured because it is perfectly normal. People commonly have the misconception that it will grow in the heat because it’s fromMexico(it grows in the winter months there). However, there is an alternative herb for the summer months that will give you the great cilantro flavor. Culantro is a variety of coriander that is heat tolerant; you can grow it all summer. Though the foliage looks different, once chopped and on your dinner table, you can’t tell the difference between the two. Plant both in full to part sun, in well drained soil. Fun Fact: Coriander seed was found in Egyptian tombs that dated back to 1325BC. Coriander can also be used as a organic pesticide. Make a tea with the foliage and let steep for 30 minutes. Strain plant material out and put cooled solution in a empty clean spray bottle. You can spray on all your herbs to help keep critters from making a buffet out of your garden. Health Tip: Coriander is sometimes used to help stimulate appetite. Chives are native to the cool regions ofEurope. They are sometimes found in dry rocky areas, damp marshes and wooded areas. They are a perennial in our area and seem to do best in full to part sun. They produce pretty flowers during the second year. Cut and harvest on a regular basis. They replenish very quickly. You can freeze or dry excess chives. Chives are typically used in potato dishes and other veggie recipes. You can use garlic chives in recipes instead of garlic. Although garlic chives have a more mild flavor than garlic. To tell the difference between garlic and onion chives, look at the foliage; onion chives have round stems and garlic chives have very flat stems. Fun Fact: In 1656 runners chewed chives to stay ahead in a race. Maybe some competitors lagged behind because of their competition’s bad breath? Health Tip: Chives are sometimes used for bladder weakness. Fennel is actually used more often as a host plant for caterpillars than it is for cooking. Green fennel is an annual in our area and Bronze fennel is a hardy perennial. Bronze fennel can grow up to 6 feet tall in your herb garden. Fennel is used mostly in fish and Italian recipes. It is very aromatic and has a strong licorice scent and taste. It is native toAsia, so it likes plenty of sun and well drained soil. Fun Fact : In the 10th century, fennel was hung on the outside of doors to keep witches away on midsummer’s eve. Health Tip : Fennel tea can be used to help to decrease your appetite. Dill is a wonderful herb because it adds such a different taste to so many things. At one time, it was pretty much just used to make dill pickles. Now, it is frequently used in salads, dips, veggies, fish, eggs and so much more. It is an annual in our area. It is a lot like cilantro, in that it only grows in cooler weather. So, make sure to grow in early spring and fall. Save the seeds like you would with cilantro to use in winter stews and soups. Harvest like any other herb but do not freeze, as it doesn’t freeze well. Rather, dry your excess dill at the end of the season. Always dry herbs in a cool, dark, well ventilated area. No direct sunlight because it will decrease the essential oils of the plant, which causes it to lose flavor. Plant in full to part sun. Well drained soil and good drainage in a container. Fun Fact : Pickling cucumbers dates back from a recipe found in 1640. Health Tip : Seeds can be chewed to help with bad breath. Tarragon is a native to southern Europe andAsia. It is a tender perennial in NC that prefers morning sun to afternoon shade, especially in our hot summer climate (it seems to like cooler temperatures). Another tarragon that is highly recommend for our area is texas tarragon. It is extremely heat tolerant and tastes much like French tarragon. Tarragon is used widely in fish and chicken recipes. It also is used in oils and homemade salad dressings. To make an easy oil, heat extra virgin olive oil to boiling. Pour oil in a jar and add a handful of fresh tarragon. Let this sit for a few hours then strain out herbs. Store herb oil in a dark cool place. Fun Fact : The Latin meaning of tarragon is “little dragon”. It was once used to cure mad dog bites and snake bites. Health Tip : It was once regarded as an herb that was friendly to the heart and head. Scented geraniums are a wonderful addition to herb gardens. They are used to make potpourri, jams and jellies, and even used as insect repellents. The mosquito plant is actually a scented geranium. Most scented geraniums are native toSouth Africa. They are very happy in full sun, with well drained soil. They are annuals in our area. Take a quart jar and fill it with 1 cup of corn starch and 1 cup of unscented body powder. Add 12 leaves to the jar and shake really well. Store in a cool dark place. Everyday take out the jar and shake well. Do this for about 5 days. Next, take out the leaves and add about 10 to 12 more fresh leaves to the jar. Repeat shaking procedure everyday for another 5 days. Take out leaves again and enjoy your homemade body powder. Fun Fact : In the 19th century, scented geraniums were imported from S. Africa toFranceto be used as a main ingredient in perfumes. Health Tip : Use scented geranium oils as aromatherapy at home. The sweet scent of lavender is an all-time favorite. It is one of the most widely used herbs in the world and dates back to theRoman empire. 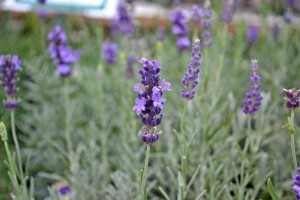 Lavender is native to the Mediterranean and theMiddle East. It loves full, hot sun. In fact, some might say it thrives on neglect. It hates to stay wet, so watch the waterings. Amending your soil is always recommended. Lavender also likes lime. If you plan on planting a lot in a bed, it is recommended that you lime your soil every year. Some of Fairview’s favorite varieties to grow are Spanish (for it’s unique flowers),Provence(for the scent), and Grosso (which is a hardy perennial in our area—depending on our winter, it can even be an evergreen). Lavender is great as a insect repellent, too. You can purchase essential oils at a health food store. Use a very small amount on different areas to help keep mosquitos away. Lavender is said to be helpful with stress and headaches in aromatherapy. If your still not sold on this wonder herb, it’s also good as a deer repellent and pesky bunny repellent. 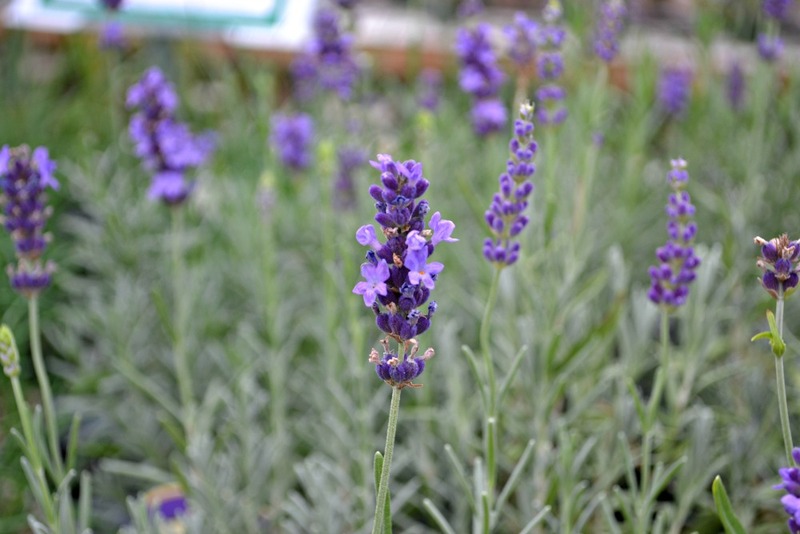 Plant lavender throughout your yard and flower gardens to keep unwanted critters away. Great Project Idea: Make a dream sachet for your pillow. Take two small pieces of cloth about 4 to 5 inches long and 2 to 3 inches wide. Fill with dried lavender flowers and sew together. Maybe this will help you get a good nights sleep. Fun Fact : The Latin meaning of lavare which is were lavenders name is derived from means to wash. Maybe that is why it makes such good soap! Health Tip : Lavender compresses can be used to ease migraine headaches. Mint is a wonderful little plant with a big pesky problem. It likes to go forth and take over your garden (and then perhaps your yard). It is native to Europe andAsia, and is happy in any type of condition. It can take full sun to partial sun, though it seems to enjoy part sun more than full sun here in NC. For those of you who would rather keep it at bay, we recommend keeping it in containers. Mint is used in a lot of different ways. It is great as a tea and in specialty drinks. You can also use mint to accompany lamb recipes, make jellies, and of course, in homemade ice cream. Chocolate mint (Yes, there is a chocolate mint!) makes a really good ice cream. If you have guests coming over and want to impress them with some southern hospitality, just freeze some mint leaves in your ice cube trays to put in your sweet tea. Also, you can use lime mint in salsa. 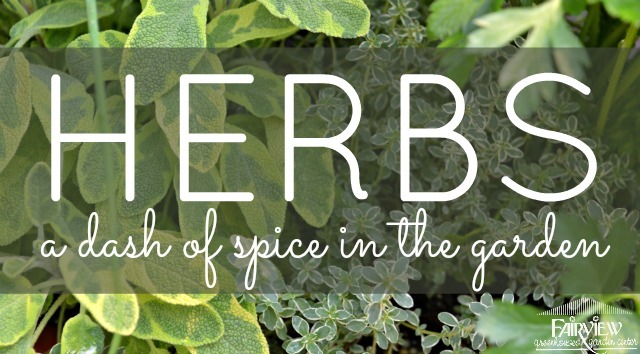 There are so many possibilities for this flavorful herb. Fun Fact : The Romans used mint in their bath water and as perfume. Health Tip : Peppermint tea is great for an upset tummy. Both Green and Italian oregano are commonly used in cooking. They both love the hot sun and well drained soil. Oregano is native to theMediterranean. Oregano and marjoram are in the same family, so you can substitute one for the other, depending on what you have on hand. Here inNorth Carolina, Italian oregano is a tender perennial and Greek oregano is a perennial. Fun Fact : Greek mythology associated oregano to the warmth of the sun. It was used to banish all sorrow away. It was given to mourners to comfort them. Health Tip : A diluted essential oil of oregano is suppose to be good for joint pain. There are two common types of parsley, curly and flat leaf (also known as Italian parsley). The flat leaf better for cooking, as it has more flavor. This is another herb that you need to harvest on a regular basis, to ensure it keeps producing. It also freezes and drys well, too. It needs plenty of sun and well drained soil. It is native to Europe and theMediterranean. It is considered a biannual, which means it comes back more than one season. Though, in this area, it frequently acts as an evergreen. Parsley typically reseeds itself. 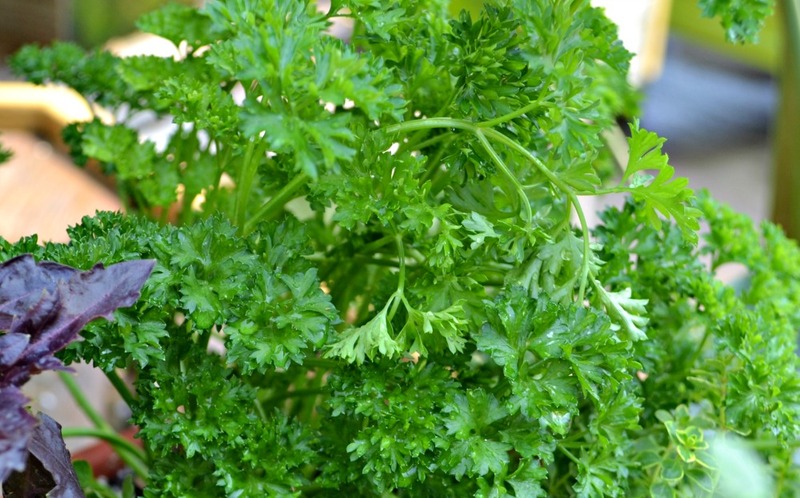 Fun Fact : Parsley has a very superstitious history, so what it can do is best left unsaid. It seemed to bring a lot of disaster in Greek mythology. Health Tip : Parsley is rich in vitamin A and C and is high in antioxidants. How could something this healthy have been viewed as such a bad plant? What a wonder of an herb. This is a great ornamental, evergreen shrub that tastes great. 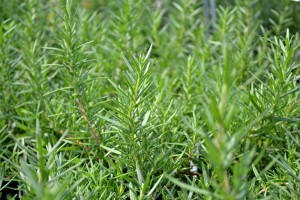 Rosemary is widely used in Greek and Italian cuisine, and is native to theMediterranean. It loves the hot sun and well drained soil. There are a lot of different varieties of rosemary on the market now.Salemrosemary was genetically engineered for N.C. climate. Barbecue rosemary can be used as skewers for kabobs. Ms. Jessup rosemary and spice island rosemary are good choices for cooking; they have a great flavor and make beautiful shrubs in your yard. Prostrate rosemary is a creeping, evergreen rosemary that tends to flower more than the other varieties, so it works well as a cascading plant in containers. Cooking with rosemary can be tricky. You don’t want to use the woody stems, just the leaves of the plant. The easiest way to get the leaves off of the stem is run your fingers along the stem, opposite of the leaf direction. Rosemary is very strong, so a little goes a long way! 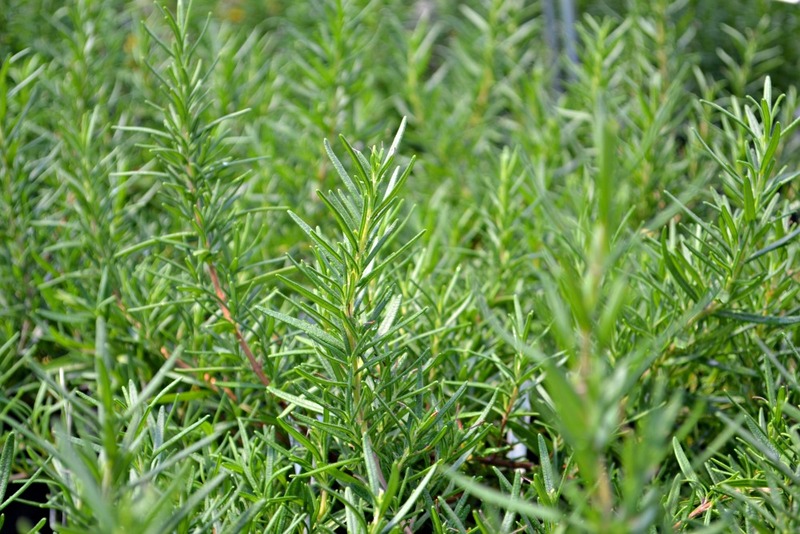 If cooking at higher temperatures, it is best to used dried rosemary as fresh rosemary tends to burn more readily. It also tends to dry a lot better than it freezes. Great accompaniment with beef, chicken, potatoes and roasted veggies. Fun Fact : Rosemary is used to give as a sign of remembrance. Health Tip : Rosemary is good for joint pain and memory loss. It increases circulation in the body. This is a very drought tolerant, sun-loving herb, and makes a great perennial for the flower/herb garden. Some varieties tend to be evergreen in our area. They like well drained soil and do well in containers. Bergarten sage is the typical cooking sage. Purple sage can be used for cooking, but it’s a better medicinal herb* than cooking herb. Sage drys and freezes well. Sage is widely used in making sausage. It is also used in poultry seasoning mix. Sage is native to theMediterranean, where they use it to flavor cheeses. 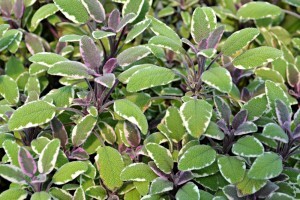 The leaves of pineapple sage can be used to make jellies, teas, and makes a great ham sandwich. Oh yeah, did we mention that pineapple sage also attracts hummingbirds? Fun Fact : All throughout history sage has had been linked as an herb of good health. Health Tip : Purple sage tea makes a great gargle for sore throats and mouth ulcers. Parsley, sage, rosemary, and thyme. I guess Simon and Garfunkel were crazy about herbs, too! Last, but definitely not least, is thyme. This is a small, but very flavorful herb; a must-have for any garden, as it’s easy to grow, loves the sun and well drained soil. As many of the other herbs mentioned here, it is native to theMediterranean. It grows very low and can be used in between stepping stones. You can dry and freeze this herb. It also makes a good herb oil. There are a lot of different varieties, but some of the more popular culinary varieties are lemon, English and silver-edged thyme. As it’s name suggests, lemon thyme taste like lemon and silver-edged has a strong black pepper taste. 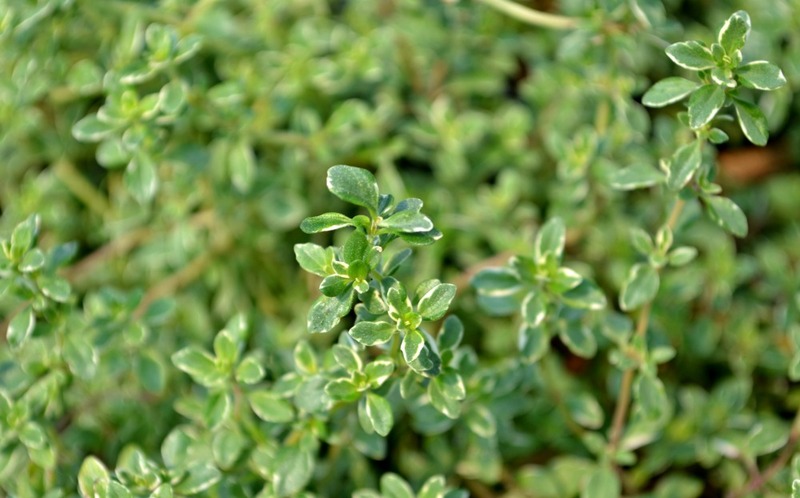 Fun Fact : The Greeks regarded thyme as a symbol of courage and honor. Health Tip : Thyme is highly antiseptic, so if working in your garden and you get a boo boo, put some thyme on it until you are able to get a bandage. * We do not encourage the medicinal uses of herbs and are not suggesting they should be used as such. Contact your physician for further information.